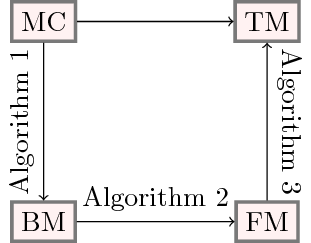 How to draw this diagram using TikZ package? 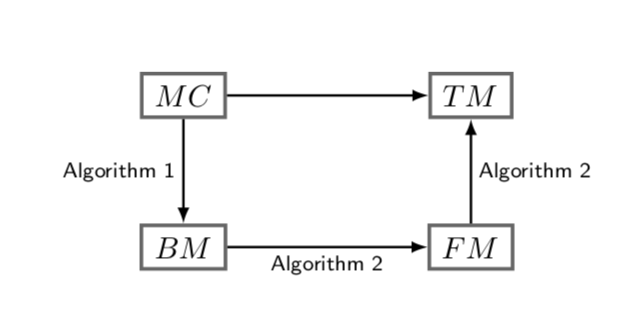 Please can someone show me how to draw the diagram (photo) using TikZ package. First, you need to clean up your packages and your tikz libraries. You load graphicx thrice and hyperref twice. Loading only what you need for your document will speed up your compiling time. Loading packages only once will lead to less errors in complex preambles. As for an MWE, use a common document class that will reproduce your problem, say article. The only package you need to load in your example is tikz, as it loads xcolor and other packages by default (you can't know that). The only tikz library you need is positioning, as arrows is used for other kinds of arrows as the ones you used. 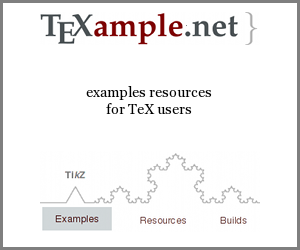 Look up the libraries in the tikz documentation on CTAN. I eliminated some of the superfluous content in your tikz code (you might want to leave it in if it is necessary for something else, but try without and see if it breaks things) and added text centering and text width in your boxes. Generally, stuff you don't need, toss it out of your code and keep it clean. This will minimize mistakes. The whole thing can be made much shorter.